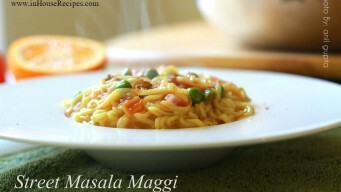 Maggi is one food item that needs no introduction if you are particularly from India. It is a companion of all students, graduates living in hostel and people staying abroad alone and away from family. It is a brand name that has become a synonym for noodles actually. 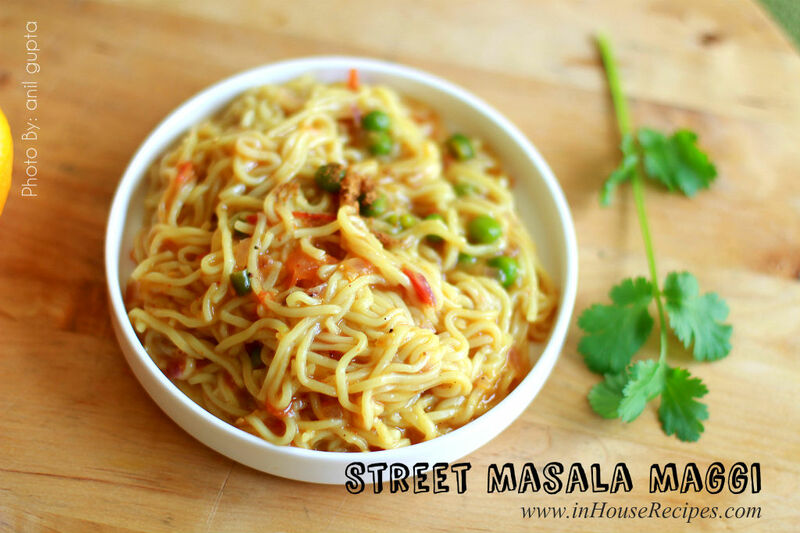 We are showcasing the recipe of street masala maggi here which is normally available in small street side restaurants/vendors outside offices in India. 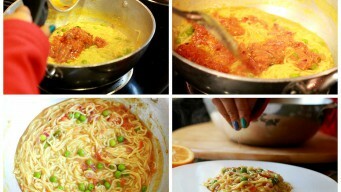 Everybody likes it and we are trying to re-create the same taste and flavor for you to make it at home. 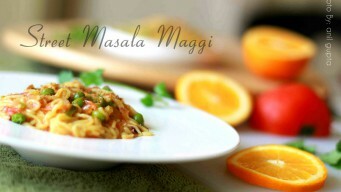 Maggi Masala with vegetables like peas, bell peppers (Capsicum) and others tastes pretty good. You can pretty much any vegetable that you like. People even add Omelette, Corns and Mushrooms. The grocery list primarily depends on what you like to eat. You can follow this recipe with whatever you buy. 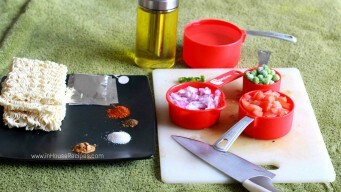 You should now have the ingredients ready before starting the recipe process. We have assumed that you have chopped all the vegetables before starting this recipe. If not, then please do it now. We have counted the chopping time as 3 minutes counted in this recipe as ‘preparation time’. 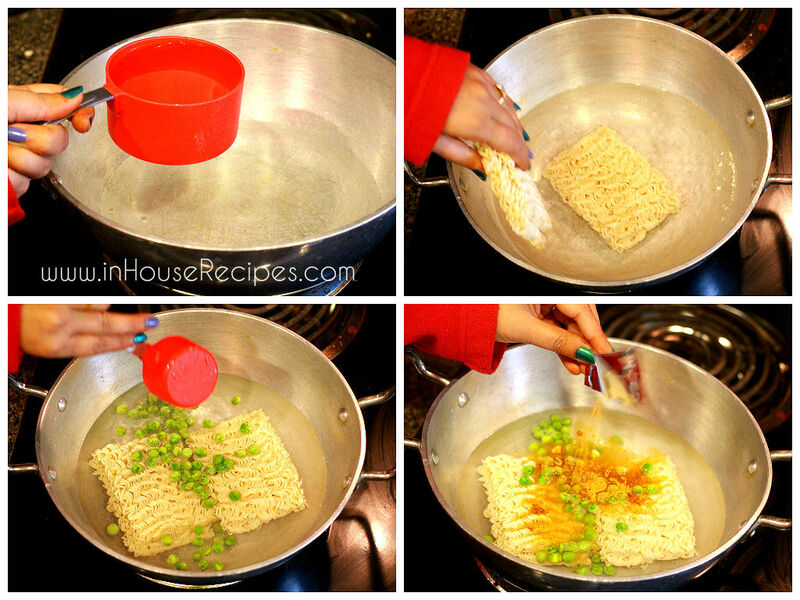 Start with a Pan and add 3 Cups of water. Switch ON the stove on high flame. 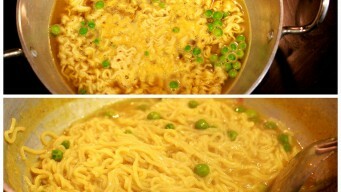 Once water is mild hot It will take about 1 minute, add Maggi, Peas and Maggi Masala tastemaker. We need to let it cook until the water dries up. It would take some time and that time is approximately 10 minutes. 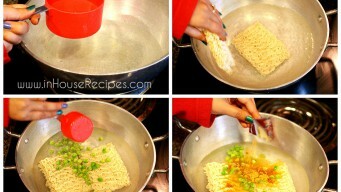 Yes, the Maggi does not boil in 2 minutes as advertised. It takes a good amount of time. Our experiments have shown approximately 10 minutes.In the mean time, we will make the Tadka on second stove. If you make the Tadka in parallel, you can save 5 minutes in this recipe. We have anyway counted these 5 minutes separately assuming you would do it separately. Doing it in parallel is recommended though. Take another pan, add Oil and heat it on high flame for about 2 minutes. 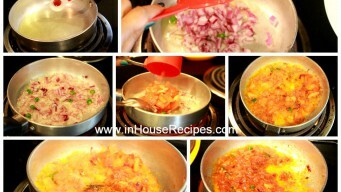 Once hot, add Onions and Green Chili and roast them for 1 minute or until Onions turn pink in color. After 1 minute, Onion would turn pink. 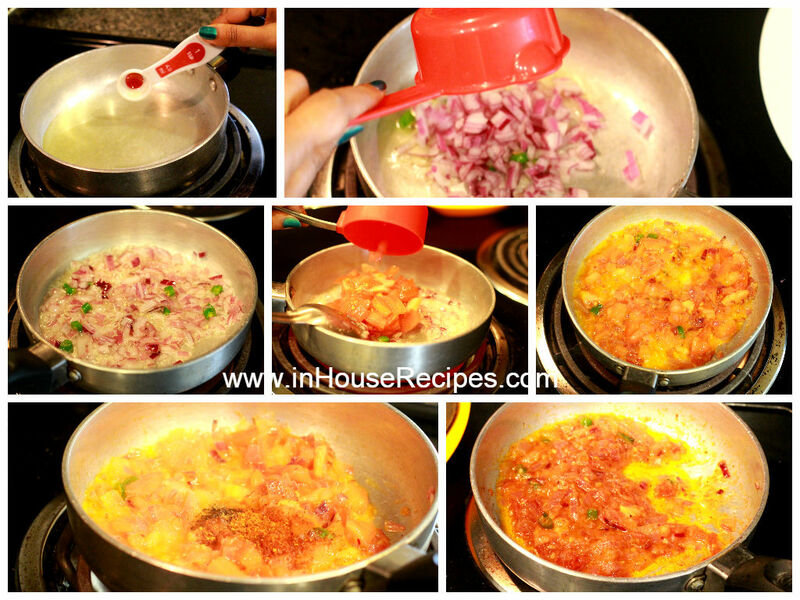 Add chopped tomatoes and cook for another 1 minute. 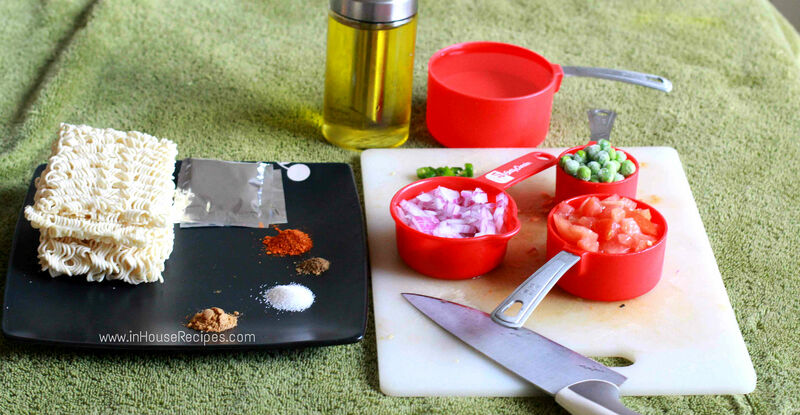 After 1 minute, add spices Salt, Garam Masala and Red Chili powder. Mix well and cook for another 1 minute. After 1 minute, the Tadka is ready. Maggi would have boiled by now. Boiled here means that the water would have dried up. 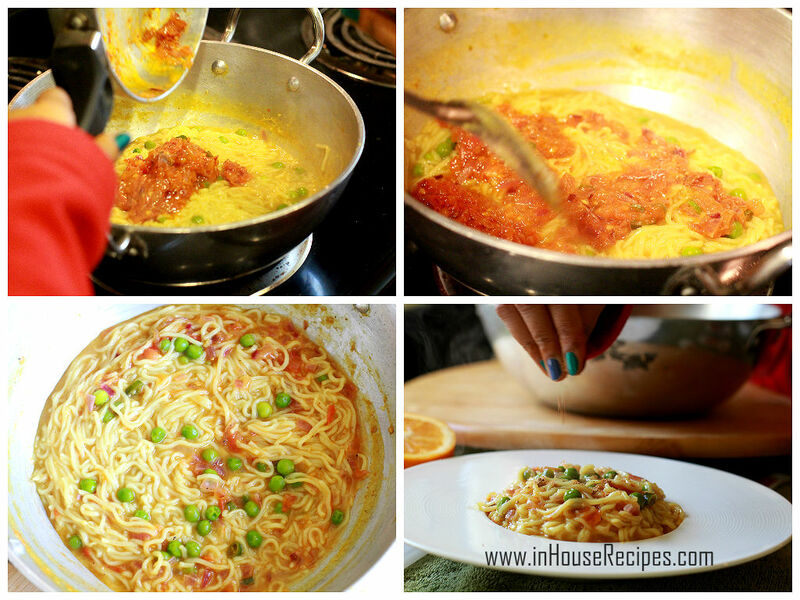 Mix tadka with Maggi well and switch off the stove. 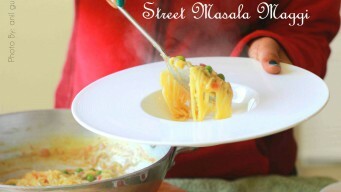 Garnish street Masala Maggi with Chat masala (Make fresh Chat Masala at home) and serve hot. 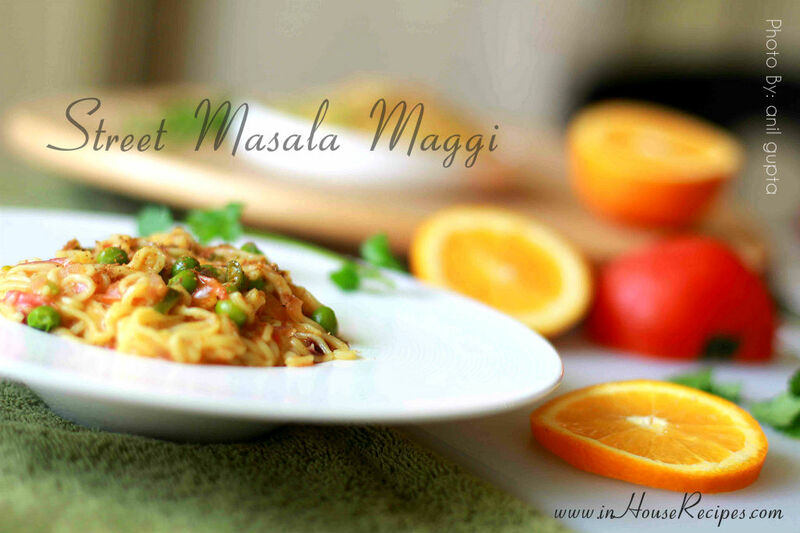 I hope that the Maggi that you love the most in your office will address your taste buds at home too. Enjoy. Maggi should be consumed hot and fresh. There is no use of refrigeration as it just solidifies into a hard Maida roll after losing its moisture. 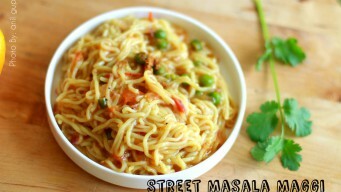 Most people enjoy Maggi as an evening snack during their office late hours with sips of Coffee. We do not recommend consuming Maggi regularly. It should be treated as comfort food and consumed occasionally for taste and flavor. 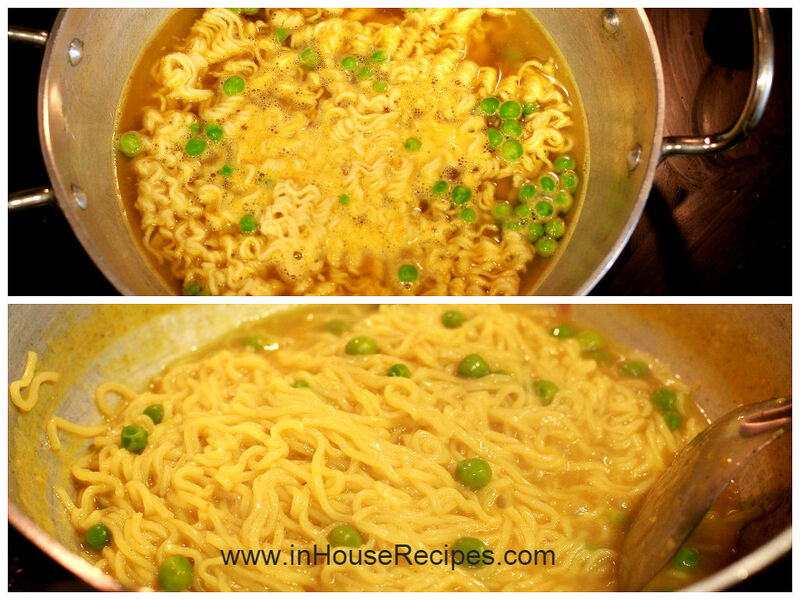 Did you know that you can cook maggi in a microwave too? 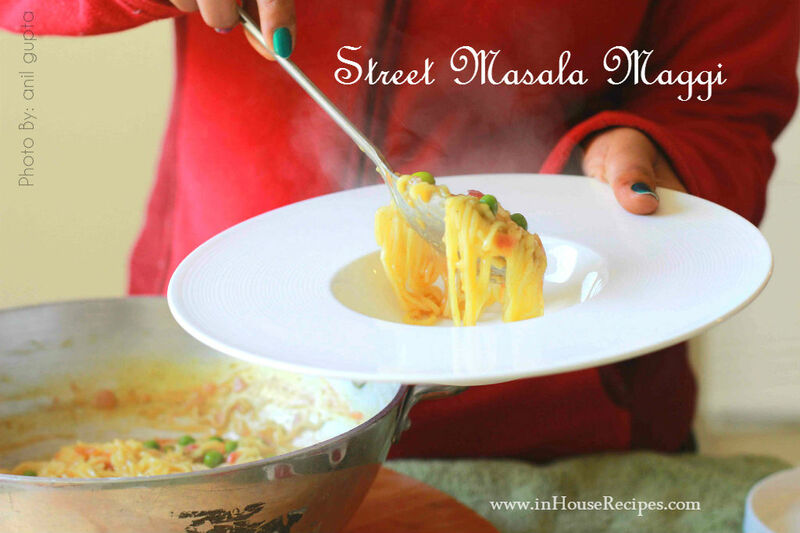 Also, I am damn sure that you would have not heard about Maggi Samosa before. 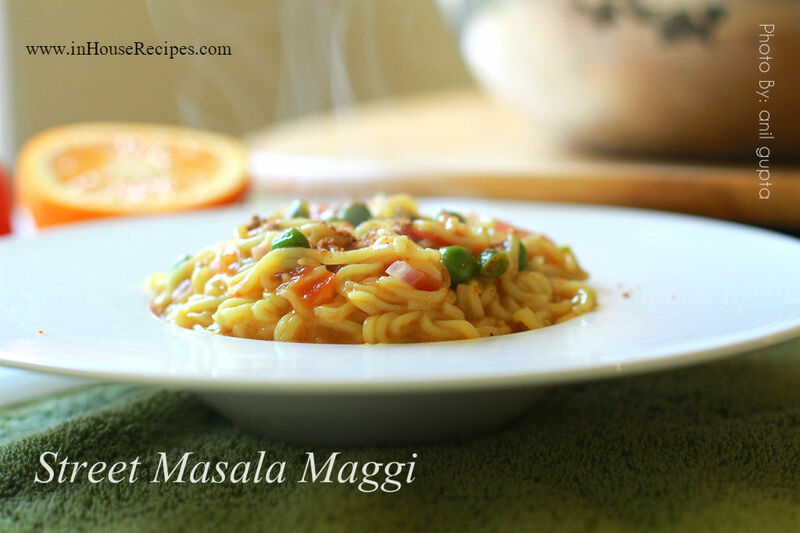 It is an awesome dish for Maggi lovers!